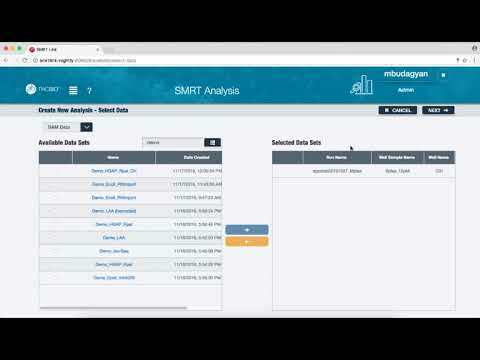 This tutorial provides an overview of the Minor Variants Analysis application in SMRT Link and a live demo of how to launch an analysis in SMRT Link and interpret the results. This application identifies and phases minor single nucleotide variants in complex populations. This tutorial provides an overview of the Base Modification and Motif analysis application for identifying common bacterial epigenetic modifications and analyzing methyltransferase recognition motifs. SMRT Analysis software supports epigenetic research by measuring the rate of DNA base incorporation during Single Molecule, Real-Time Sequencing. 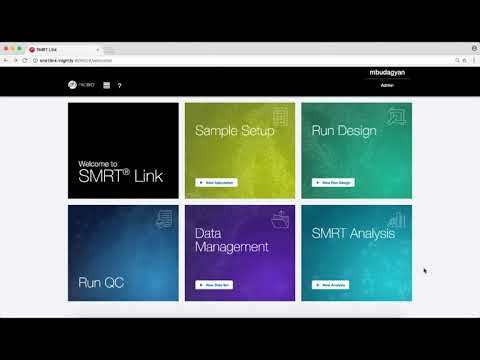 This tutorial covers features of SMRT Link v5.0.0. This tutorial provides an overview of the Hierarchical Genome Assembly Process (HGAP4) de novo assembly analysis application. HGAP4 generates accurate de novo assemblies using only PacBio data. HGAP4 is suitable for assembling a wide range of genome sizes and complexity. HGAP4 now includes some support for diploid-aware assembly. 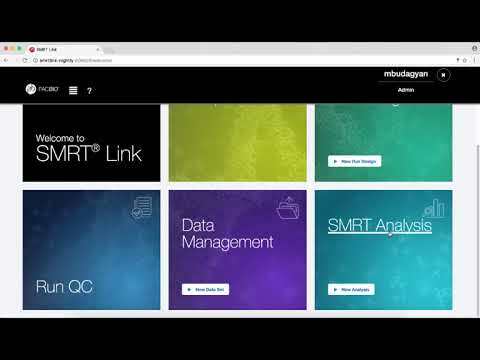 This tutorial covers features of SMRT Link v5.0.0. This tutorial provides an overview of the Long Amplicon Analysis (LAA) application. The LAA algorithm generates highly accurate, phased and full-length consensus sequences from long amplicons. Applications of LAA include HLA typing, alternative haplotyping, and localized de novo assemblies of targeted genes. 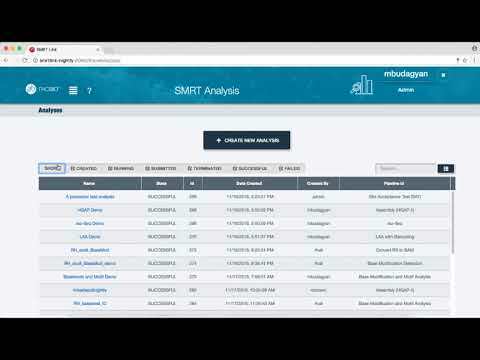 This tutorial covers features of SMRT Link v5.0.0. This tutorial provides an introduction to SMRT Analysis within SMRT Link. The training includes an overview of the various PacBio analysis applications and an introduction on their use. This tutorial covers features of SMRT Link v5.0.0. 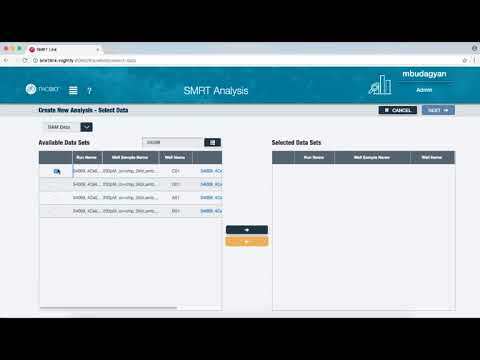 This tutorial provides a high-level overview of the features contained within the SMRT Link software. SMRT Link is the web-based end-to-end software workflow manager for run design and set-up on the Sequel System, Data Management, and SMRT Analysis.